You see a broken yellow line painted on the roadway adjacent to the kerb. What does it mean? You see a broken yellow line painted on the roadway adjacent to the kerb. What does it mean? A. Bicycle riders must ride along the yellow line. B. Clearway restrictions apply - you must not stop during the clearway hours. C. You may at any time, park along this part of the road for 1 hour only. Correct. 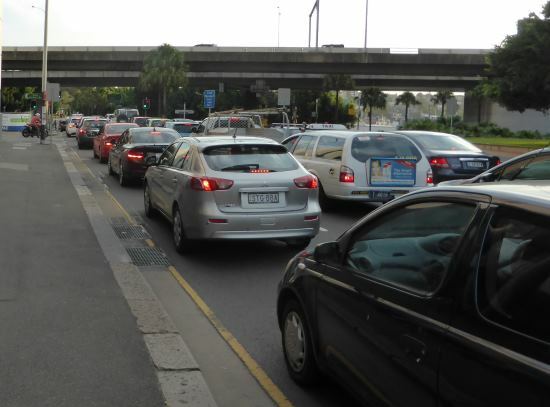 Clearways are designed to help traffic flow smoothly in busier times. 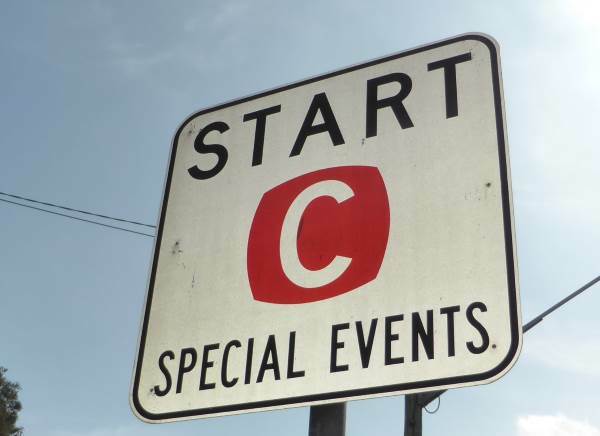 Some clearways become clearways only during special events, which will be notified on other signs. 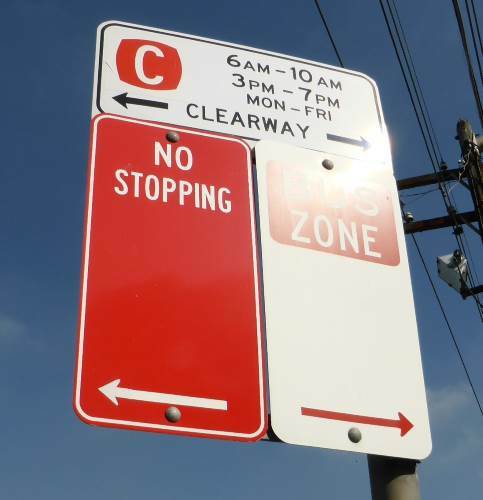 Special event clearways can operate on any day of the week and carry exactly the same parking fine and towing fee as if you were parked in an ordinary clearway ($242 fine). Towing fees are listed here. The following image shows a clearway that is valid from 6-10am and 3pm-7pm, Monday to Friday and that's there's no stopping to the left and it's a bus zone to the right. Buses, taxis and hire cars can stop at the kerb to pick up or set down passengers, but private vehicles can't stop unless it's a medical emergency. If you see a solid yellow line, such as in the example below, that is a no stopping line and you must not stop or park here at any time (unless you're waiting in a queue of traffic).